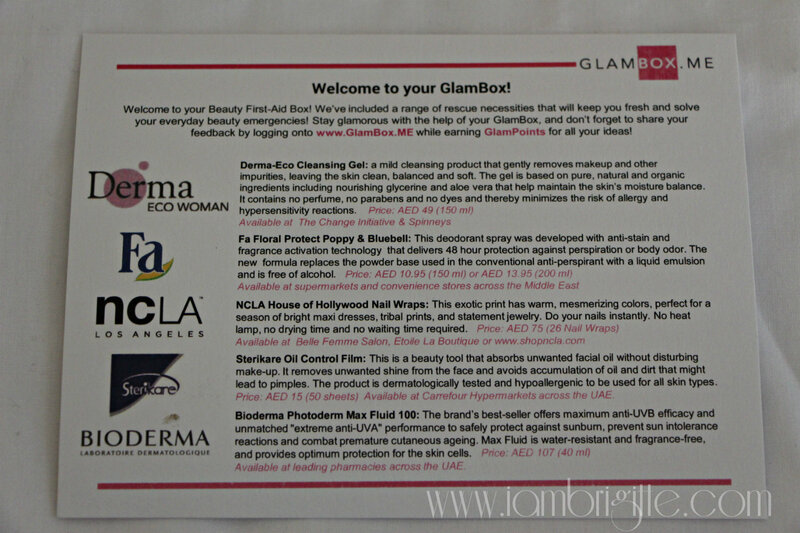 Did you get last month's Glambox called the Beauty First Aid Box? If you did, what do you think about it? Are you satisfied or do you think you were not able to get your money's worth? I am not a fan of deodorant sprays because I feel like I am wasting a lot of product when I use it, but its soft and fresh floral scent makes me want to reach out for it after I shower in the morning. It's a great pick me-upper! The scent does not last for too long though, but it's okay. It does its job of keeping me dry all day and when worn with white fabric, this doesn't leave a stain. And since it's alcohol-free, your underarms won't get darker too! 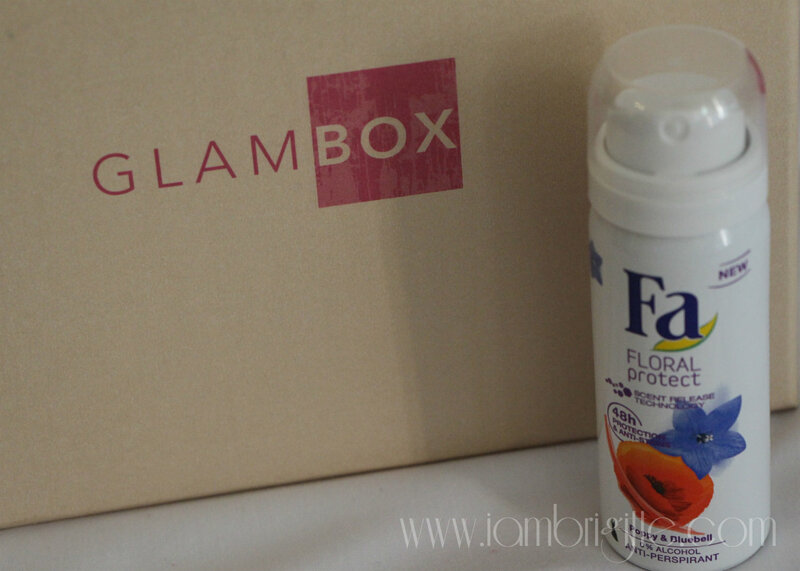 It's natural, organic, perfume-free and has no parabens, making it a gentle alternative of removing your makeup. It has glycerin and aloe vera too so you won't get that tight feeling on your face after using it. But just like any other cleansers, I use this after I do my first step in facial cleansing which is removing my makeup first with either Ponds or a cleansing oil followed by wet wipes. I double, or sometimes triple cleanse because I just feel like I need to since I'm wearing layers of makeup. If you are living in this side of the world, a sunscreen with this amount of SPF is a must! Though both gets absorbed by the skin easily, I prefer the fluid variant more. It feels lighter on the skin. 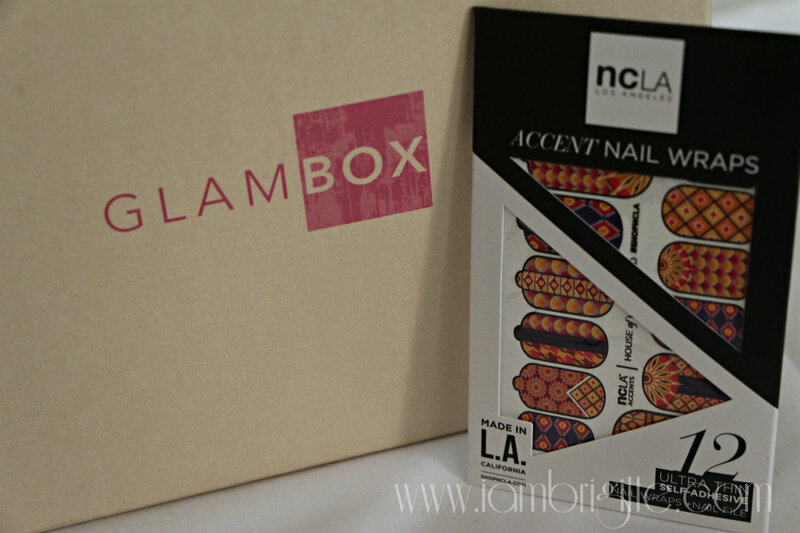 I've only tried nail wraps once in the past and didn't quite like it because it takes a lot of time. All the fitting and nail-filing are just not for me. I'd rather paint my nails, but yeah, I won't have designs as gorgeous as these. 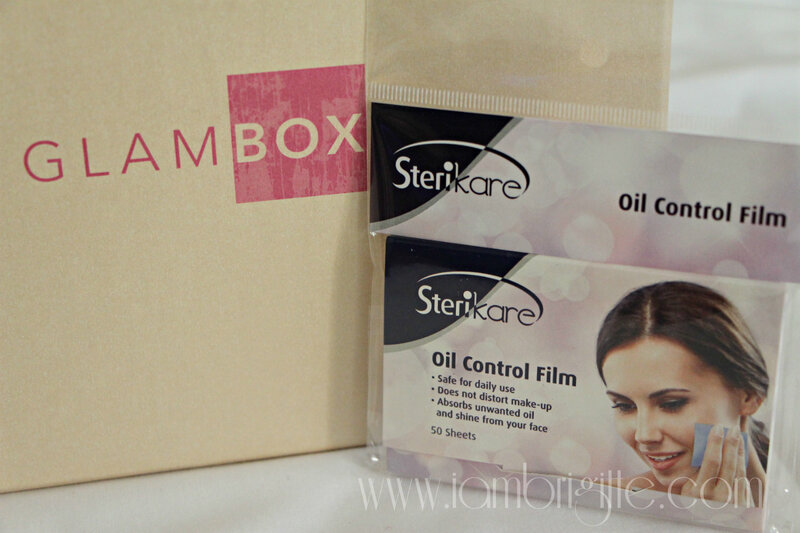 One thing you'd never see me without in my makeup kit is a pack of oil-blotting sheets! My face gets so oily even when I'm inside an AC'd room so I make sure I have this all the time. I get my blotting sheets from the Philippines because the first time I tried looking for them in Dubai, I wasn't able to find one. I guess I didn't look very hard. Hahaha! But you see, I think stuff like this should be available even at convenience stores! These oil-blotting sheets gets rid of oil on your face without disturbing your makeup. I haven't used this one from Sterikare but I will try to post a short review on it here or on my Instagram when I get around to using it. When I opened the box and saw these products, I honestly got disappointed. I was expecting more. Perhaps bigger sizes of the sunblock, the cleansing gel and a full size of the deodorant spray, plus of course the other stuff already in it. 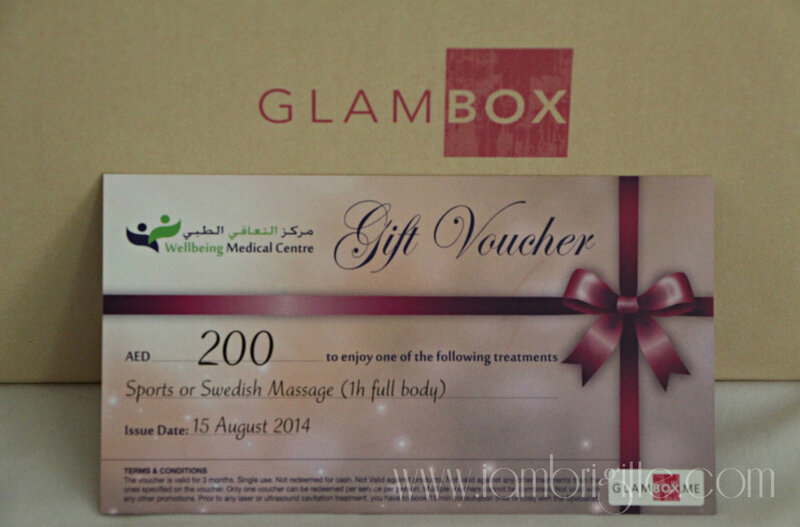 Now these vouchers made the box less disappointing, most especially the massage voucher which is priced at AED200. I've read some comments about this box and well, there are lots of disappointed subscribers. But like I've said before, subscription boxes can be a hit or a miss. 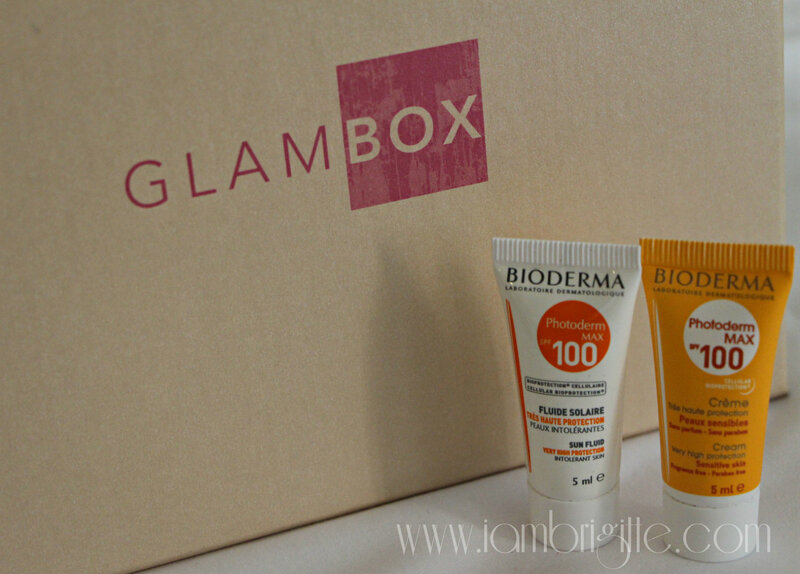 Hopefully, Glambox will make up for this month's box. Let's keep our fingers crossed for that.